Children’s Dentist in Tappan Says to Think Out of the Box! Some people appreciate recognition for their accomplishments more than others. One thing is for sure though—kids love it! Positive reinforcement is one of the best ways to help your child become consistent with any uninviting tasks. Dental care is just one of many things they will come across in their lifetime and not necessarily enjoy in the beginning. That’s why your children’s dentist in Tappan at Smile More Kidz recommends that you implement a consistent reward system for your child’s dental routine. Here are a few helpful ideas that may ease your children into looking forward to brushing their teeth. Imagine that! 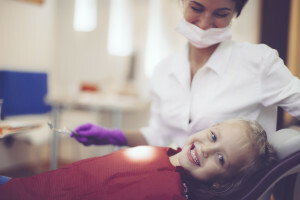 How should I reward my child for good oral hygiene habits? When it comes to positive reinforcement, you need to cater to your child’s personality and needs. The effect of the award will live longer only if your child sees’s value in it. Say your son or daughter enjoys working towards a bigger goal, we recommend trying a reward chart. You can present your child a sticker each time he cleans his teeth properly and apply it to a large, colorful chart hung up for everyone to see their progress. Make sure you award the sticker right after a successful teeth cleaning session. When your child reaches a certain number of stickers—whether that be for a whole two weeks or a month—give him a reward, such as a new toy or a trip to a favorite local attraction. Sometimes this is more effective if the child chooses their own award. If you know your son or daughter responds much better to instant gratification, you could try linking each teeth cleaning session to a prize. Offer an extra book at bedtime or some extra television time the following day. Both options seem to have a great influence on the level of enthusiasm each child has regarding dental care. We practice the same thing in our office with our “treasure box.” Whatever you do, don’t offer sweets right after they brush their teeth. That’s defeating the purpose! Protection against cavities with dental sealants. Positively enforced, fun dental experiences that will help keep them diligent with their dental routine as they grow older. Protection against dental problems with fluoride treatments to strengthen enamel. Whether your child enjoys their initial visit with us or not, we will always highlight the constructive aspects about their appointment and reward them for being cooperative. Children learn best with positive reinforcement. This will lead to a better, easy-going dental appointments in the future. Contact us today to have your son or daughters teeth examined and professionally cleaned over summer break.